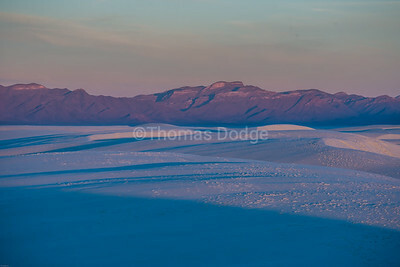 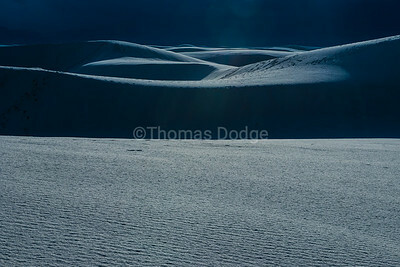 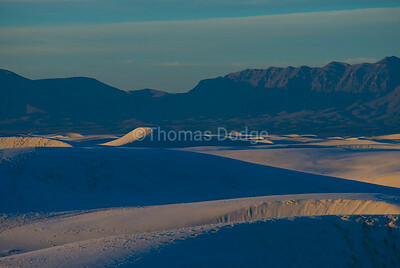 The white gypsum sand of this southern New Mexico monument offers a great play of light, shadow and color morning until night. 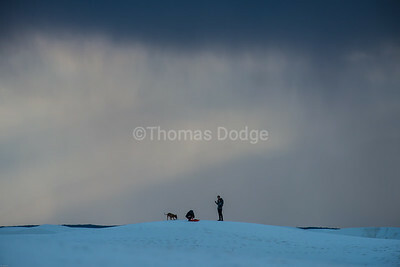 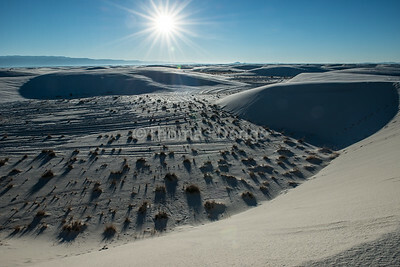 Thousands of visitors hike and sled the dunes every year. 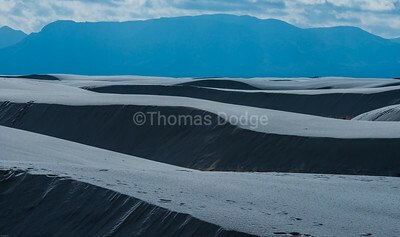 Wind constantly reshapes the dunes. 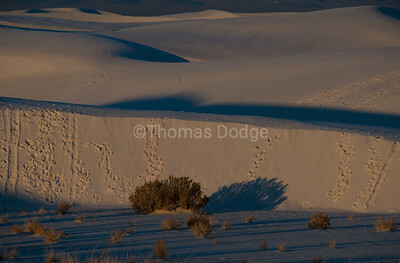 Footprints from yesterday are gone today. 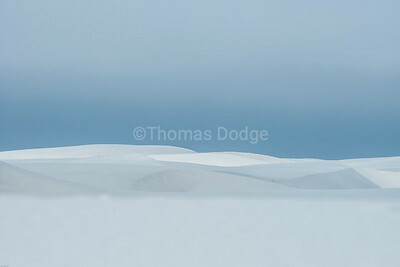 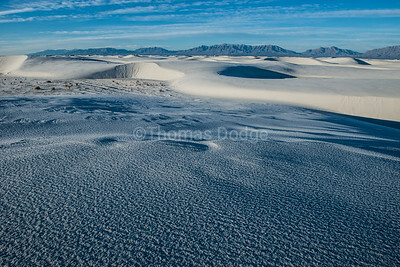 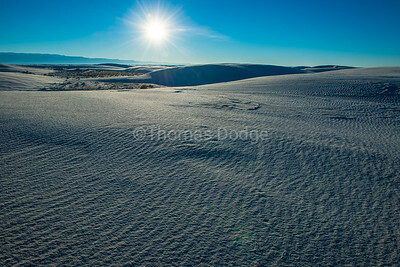 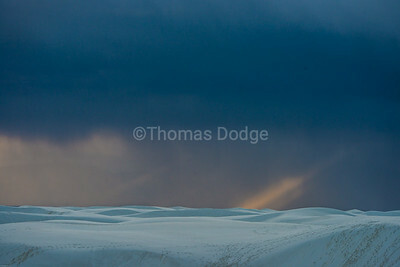 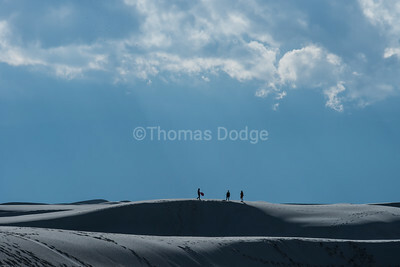 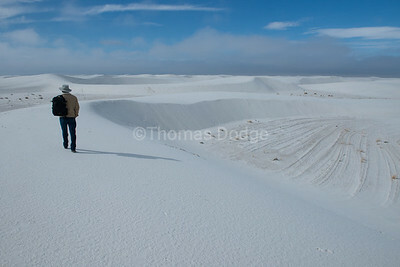 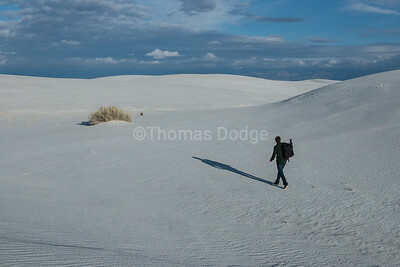 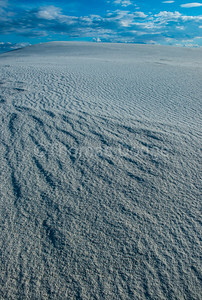 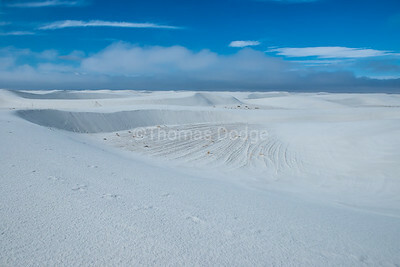 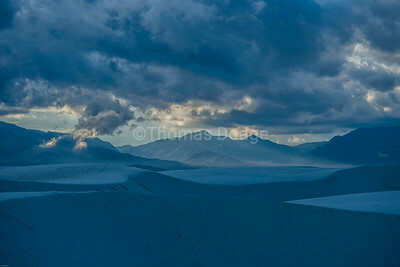 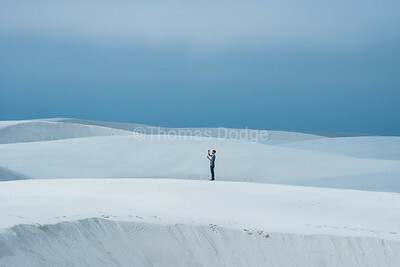 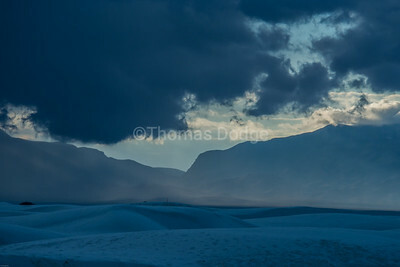 This portfolio is titled, "White Sands, Big Skies."